I've been traveling in Michigan for Moms Clean Air Force. We are partnering with the Michigan League of Conservation Voters to work on a fantastic project--an initiative to strengthen Michigan's energy mix so that by 2025, 25% of Michigan's power will come from clean renewable sources like the wind and sun. Moms like clean, and they like energy. Our two reps in Michigan, Wibke Heymach and Starla McDermott, organized fantastic days. I can tell that I'm going to be learning a great deal from Melissa Bernardi at MLCV, who is organizing the field campaign. She was the regional director for Obama's campaign last time around, and her story is inspiring. She was a part-time bookseller, and she got involved in politics by knocking on doors to talk about Obama. "I discovered how many of my neighbors shared my views, but had been too quiet or felt too alone to voice them," she wrote on Facebook. That was just the beginning. Another wonderful story of reinvention--or, perhaps, personal evolution. Odd how we stumble onto new paths. I also spent time with Rob Sisson, who runs what used to be called Republicans for Environmental Protection, and is now called ConservAmerica. They are "growing a greener GOP from the ground up." Rob and his Chair, an inimitable source of energy (no doubt renewable, as all moms must be), Tina Beattie, are part of Moms Clean Air Force Leadership Circle. Yes, we love dads, too. 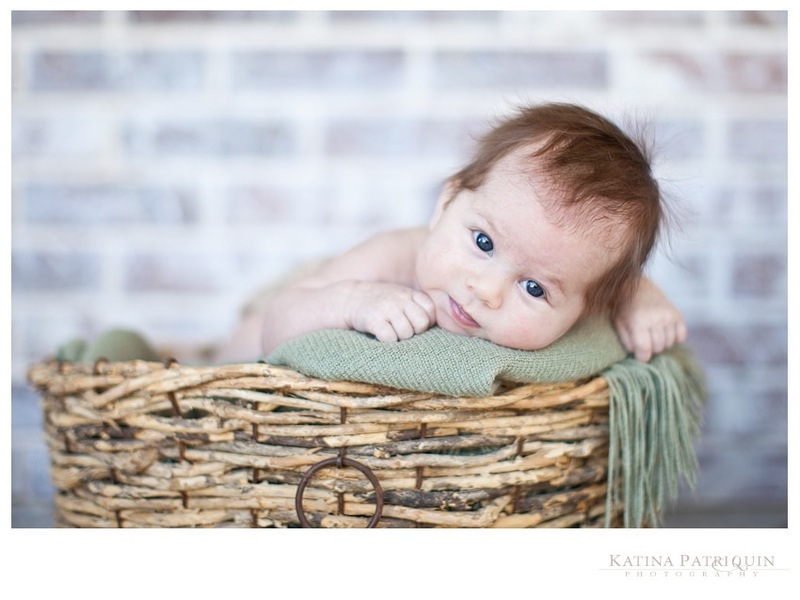 Both Rob and Tina, who lives in Arizona, have small children--that's Tina's new baby in the basket--and both of them are deeply concerned about global warming. Their organization is small, because they used to charge $50 to join, which, I must say, is an astronomical sum and not the way to go with online recruitment. The good news, for conservatives who want to join, is that ConservAmerica is now open for free sign up. I predict they will grow rapidly, because so many Republicans are feeling that their party leadership does not speak to their concerns about climate change. President Nixon signed the Clean Air Act, for Heaven's sake! More on our 25% for 2025 efforts down the road--because this is not meant to be a post about politics, though I like sharing news of my work. For now, suffice it to say that it was a pleasure to be in Michigan, if only for a whirlwind two days. I attended Interlochen summer camp way back when, so I have a fondness for the state. I was struck by how much of a bicycle town Grand Rapids was becoming. And Central District Cyclery ("spinfully good", they say) has to be one of the most beautiful bike shops I've ever seen. Now that my son Alex has become a lover of all things bicycle, I look in every shop that features wheels. This one has the luxury of floor space, the elegance of an old, refurbished building, an open work area so that visitors can watch the experts at work--and a well-edited collection of things like bags and clothes. However, my colleague Starla noted that it seems to be catering primarily to men. Ahem. Still, I've noticed that lately, cyclists embrace the best of both worlds: high tech light-weight gear, along with old-fashioned, hand-crafted stuff. These bags by Mercy Leatherworks of Michigan are fabulous, some leather, some waxed canvas. Is this about nostalgia, perhaps, for things that age well? Neoprene does not. But natural materials do. They soften and show wear. You pay more, but you have something to hand down to your children. Down the street was a beautiful coffee shop called Madcap Coffee Company. Again, those gracious proportions of the old buildings go a long way to setting a mood, but the caffeine hit wafting through the air helped, too. 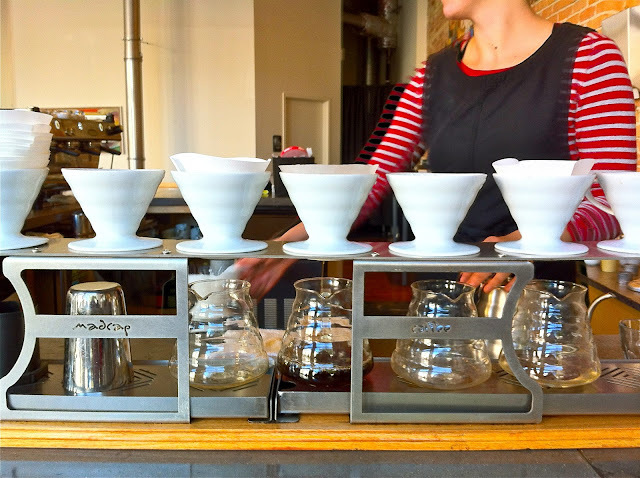 This is coffee made the old-fashioned, drip way (remember Chemex, my seventies pals? I still use my glass carafe.) And it makes a delicious cup. This reminded me of Blue Bottle in San Francisco, another favorite haunt. Here are qualities I associate with these kinds of places, and they are popping up all over the country, thankfully: Gracious. Beautiful. Handsome. Handcrafted. Rooted. Grounded. Redolent of place. Full of charm. Full of personality. Full of care. These shops are an excellent departure from the mass-designed chains that have less and less appeal and zero personality. I can't believe that even luxury boutiques have succumbed to cookie cutter and superficial design; they give no sense that you are in a special place. The same thing goes for media: I love radio because it is full of personality, it reflects its locale, and people really get a chance to dig into subjects. 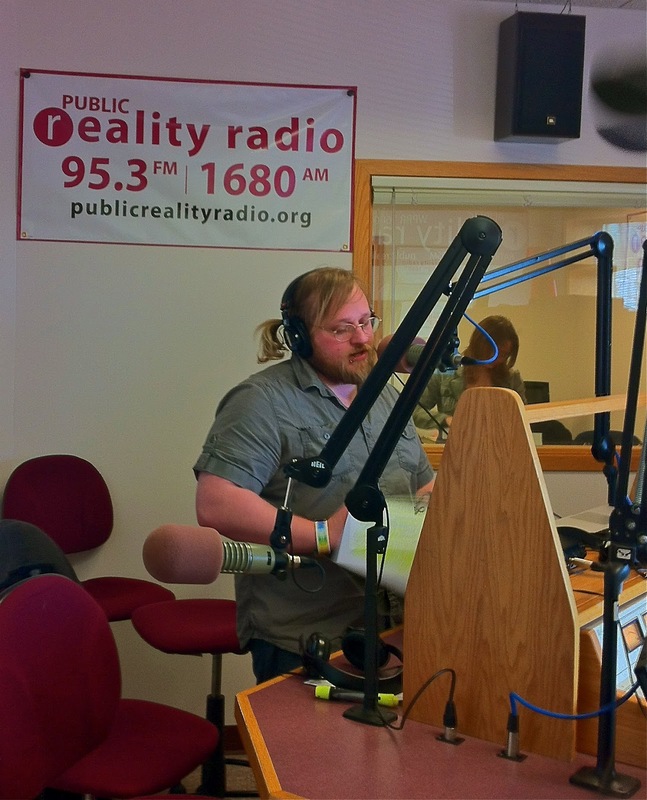 In Kalamazoo, I did an interview for PaleoRadio--"transpartisan talk radio" featuring "rational patriotism", you have to love it. The hosts, JD Sullivan and Jeremiah Bannister, met as journalism majors in school. The funny and charming and soulful Jeremiah did most of the talking, so I learned a bit about him during the breaks. (Though I must say, and he did, he could not do his show without his hugely capable partner JD.) I had a blast. Jeremiah is Catholic, and he and his wife are raising four children (so far). He told me he had been a "rabid conservative" when he was younger, but as he began to have children, he began rethinking some of his positions, especially as regards to stewardship of this gorgeous world. He now calls himself a "Radical Independent". Sounds good to me. Another admirable thing about so many radio folk: they create their shows because they love the medium. If you just look at the lineup featured on Public Reality Radio, you'll get a sense of the craft, and the variety of personality, and the profound care that goes into their work. Needless to say, I can't wait to return to Michigan.